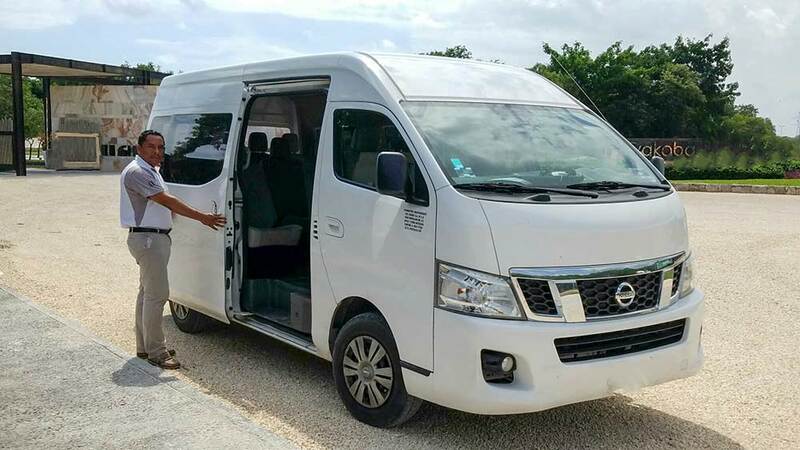 Travel Yucatan has partnered with the most reputable full-service door-to-door VIP transfer company to provide our Holbox transfers Cancun and throughout the Riviera Maya. 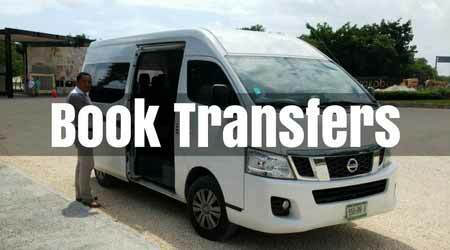 Each transfer is PRIVATE and includes the ferry ticket and taxi service to/from your hotel on Isla Holbox. Traveling to and from Isla Holbox does not have to be a challenging task. If arriving at the Cancun airport, our professional driver will track your flight and meet you upon exiting at a designated location. You and your group will have a private van take you to Chiquila, provide access to the ferry, and finally meet you on Holbox island to take you to your final destination. Visitors traveling to Holbox from other areas around the Yucatan Peninsula need not worry. We offer round-trip services throughout the region, no matter your departure location. Don't forget to check out our great rates on Holbox hotels. Each booking is for a private van accommodating from 1 - 10 passengers. Adjust the number of passengers to view the total price. Prices include transfer to/from Chiquila, ferry tickets, and taxi on Holbox. Departures are available anytime between 06:00 - 18:00 hours each day. The last ferry to Holbox departs at 21:30. Car seats can be requested for an additional $10 fee. Children under 5 have no charge if seated on lap. We recommend against this option for safety reasons and encourage car seats to be used. Short 10 minute courtesy stops can be requested if time permits. The air conditioned vans accommodate up to 10 passengers and luggage. All vehicles have the required permits and comply with the regulations set by the Mexican authorities. All reservations are subject to availability. It does not happen often but if we are completely full, we will notify you within 24 hours of making a reservation and will immediately issue a full refund. After placing a reservation you will receive a confirmation email with additional details including direct phone numbers and emails for emergencies or last minute changes. Cancellations made more than 24 hours prior to scheduled pick-up will receive a refund of 80% of the transfer cost. Cancellations within 24 hours of the scheduled pick-up time or no-shows will not receive refunds. Disclaimer: Even though TravelYucatan.com has conducted extensive research and feels confident in the transfer service provider, we cannot be held liable for their actions. We will do everything in our ability to fully satisfy guests needs and services. Since we are working together with an international company we must follow their rules and regulations. I thought this company gave me a great service, they were on time all the time and also nice and kind. It was on the expensive side but great service. If you don't see what you are searching for on this page fill out the form below and we will get back to you soon. If your preferred date is not available please contact us and we may have a solution.